Will You Be Living in an H2O [H]ouse in the Future? | Waterless Co Inc.
Will You Be Living in an H2O [H]ouse in the Future? Students at the University of California at Davis have been up to something special. They have designed and plan to build a sustainable home that places a great deal of emphasis on water efficiency. The students have named it OUR H2Ouse, specifically because reducing water consumption is such a critical consideration in California. The State has just pulled out of one of its longer – more than four years – and most severe droughts in its history. The state was better prepared this time than in the past for a drought, and had taken measures to reduce the impact. But if it had continued much longer, the situation could have become very stark indeed. One of the ways the H2Ouse house will use less water is because it will be built with greywater and rainwater storage tanks. While some homes already have such systems, typically these are installed by their owners after the home is built. The students have made this a centerpiece of their design, ensuring it will be built with the house, and not something added on down the road. The H2Ouse house is also a “talker.” By this we mean it is equipped with a water-use feedback system. It informs home occupants on a regular basis how well they are doing when it comes to water consumption. The goal, of course, is to reduce water consumption, and the students believe such systems can help reduce water use by as much as 50 percent in the planned home. This 50 percent reduction in water use may sound a bit high, but there is more to the talker, which might explain their assumption. Apparently, the students plan to have water monitoring systems installed in all nearby homes as well. This means there will be several H2Ouses. These talkers will collect data on the neighbors and see how well – or not so well – the neighbors are doing when it comes to water efficiency. Then it will let each resident know how they compare with the folks in the neighborhood. While some residents in such a community might not feel all that comfortable with this, the students claim it will foster “friendly competition” among the neighbors. It will also encourage the entire community to develop a shared goal of reducing water consumption and promote greater water efficiency. We should note that similar to the water monitoring system, the house and the surrounding planned community will also have energy monitoring systems. Once again, these systems will monitor how everyone in the neighborhood is doing and how they compare with their neighbors. Finally, we should mention that the house is not totally focused on water and energy reduction. It has an industrial, modern-rustic design, which will be constructed with recycled steel and wood, sourced from trees that have fallen as a result of recent California droughts. Further, walls and floors will be made from bamboo, which is not only very renewable, but the students say provides ample insulating and acoustic qualities. And a special type of aerosol sealing material will be used to help ensure all wall junctions, door and window frames, are perfectly sealed and stay that way. 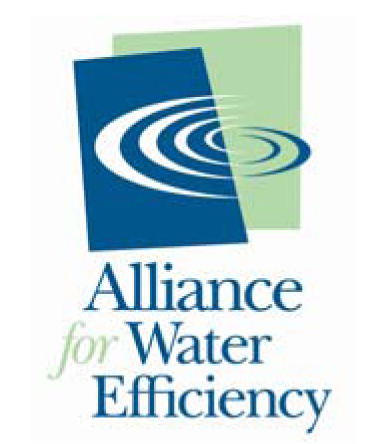 For information on ways to reduce water consumption in your home or office today, contact a Waterless Co representative.